Properly insulating your plumbing pipes has benefits beyond keeping the pipes from freezing. Read on to find out how else pipe insulation can improve your home's efficiency and safety. If you know anything at all about pipe insulation, you know that it goes a long way toward preventing frozen pipes. That’s true: Pipe insulation keeps the water in your plumbing system from turning to ice and expanding, in turn bursting the pipes and causing extensive (and expensive) damage. But pipe insulation also performs several far less dramatic roles in the home. These not only help the homeowner save money on utility bills, but also make everyday life a little easier. Among the unsung benefits of pipe insulation, its ability to minimize heat gain and loss may be the most important. As water travels along the plumbing lines in a home without pipe insulation, hot water tends to lose heat and cold water tends to gain heat. Introduce pipe insulation, and you greatly diminish these otherwise inevitable inefficiencies. So in the case of a hot-water pipe, it may not sound like a big deal for the plumbing run not to lose heat, but the benefits are very real: You get lower monthly energy bills, and you don’t need to wait as long for the hot water to reach the fixtures in your kitchen or bathrooms. When the surfaces of plumbing pipes are cooler than the surrounding air, insulation helps control the condensation that, if left unchecked, would slowly corrode the pipes and their fittings, eventually leading to a massive failure. Though condensation may seem like a remote concern, it’s not at all uncommon, particularly when cold-water lines come into contact with warm, humid air. Special vapor barrier-wrapped pipe insulation prevents warm air from reaching the pipes. One other fringe benefit of pipe insulation: It not only protects pipes, it protects people too—from injuries that can be caused by contact with very hot or very cold piping. • Conventional foam insulation: This features a slit on its side that makes it easy to fit over existing pipes. Once it’s in place, it’s a good idea to tape the slits shut so as to enhance the product’s insulating capability. 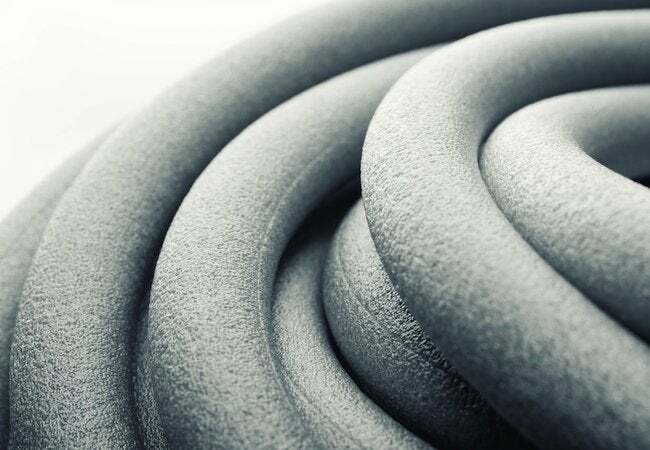 • Self-sealing foam insulation: Unlike conventional foam insulation for pipes, the self-sealing variety features an adhesive along its slit. Remove the tape, press the adhesive strips together, and you’re done. • Spray foam insulation: Typically installed by professionals equipped with pressurized containers, spray foam pipe insulation excels where there’s little space between the water pipes and exterior walls. 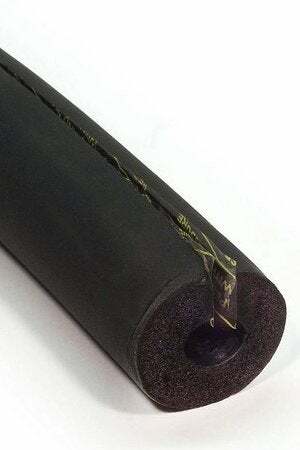 • Fiberglass pipe covers: This type of hinged, paper-coated rigid fiberglass insulation is most often used where pipe temperatures are unusually high, because fiberglass tends to resist heat quite well. Is pipe insulation ever a bad idea? “The only case I can think of where pipe insulation would be a bad idea,” O’Brian says, “would be on radiant heating or cooling loops, where insulation would actively work against the design of the system.” So in all but a couple of circumstances, installing pipe insulation offers energy savings and peace of mind—but does the benefit outweigh the cost? That might depend on whether or not you hire a contractor. Doing the job yourself—it’s usually not hard to tackle—tips the balance sheet in your favor, while depending on where you live, it may or may not be worth it to hire help. In many freeze-prone regions of the country, pipe insulation is not only a good idea, it’s mandated by the municipal building codes. If you have an older house and are planning to upgrade your plumbing, be sure to check the local specifications to find out what’s required—and what’s not. This post has been brought to you by Supply House. Its facts and opinions are those of BobVila.com.